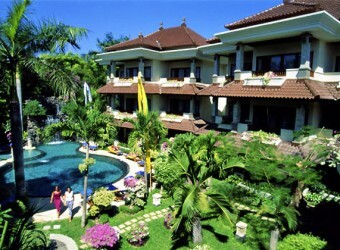 Bali Hotel Parigata Resort & Spa faces to the most lively Tambligan street in Sanur. There are guest room surround a swimming pool, and rooms of the first floor are deluxe, and rooms of 2, 3 floors are standard. All rooms have balconies, and you can relax while enjoying a flower and green in a tropical site.